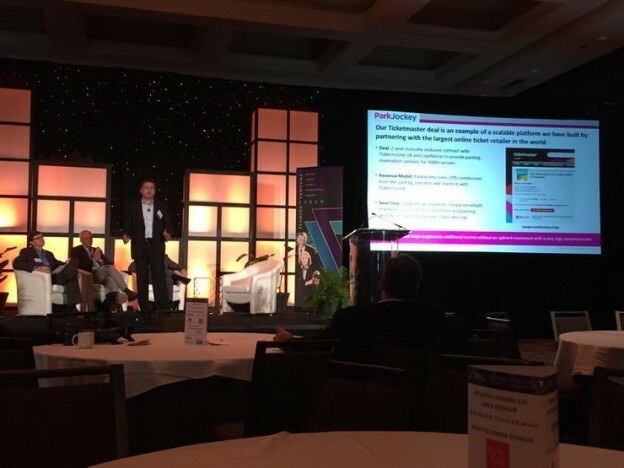 As a way to spark innovation and link professionals together, the Florida Venture Forum hosted their annual capital conference showcasing 20-25 of Florida’s most rapidly growing start-ups. Each start-up had the opportunity to present to an audience of angel investors, venture capitalists, and industry professionals. The two day networking event consisted of various panels discussing perspectives on the landscapes of investing, fundraising, and developing strategic operations. The company exhibitions ranged across industries from retractable golf clubs, to payment processing apps, to cutting edge healthcare technologies, and to other market disrupting entities. ParkJockey was honored to present at the largest capital conference in the state of Florida. The opportunity increased ParkJockey’s exposure within Florida’s start-up ecosystem as well providing several prospective investors and customers. The event was covered in several local publications, including The Miami Herald. This entry was posted in Miami, News, ParkJockey, PlumValet, Press and tagged app, Driving, Florida startup ecosystem, Florida Startups, Florida Venture Capital Conference, Florida Venture Forum, investors, Miami, Miami Beach, Miami Herald, Miami Parking, mobile app, parking, parkjockey, Umut Tekin, venture capitalists on February 2, 2015 by ParkJockey Team.